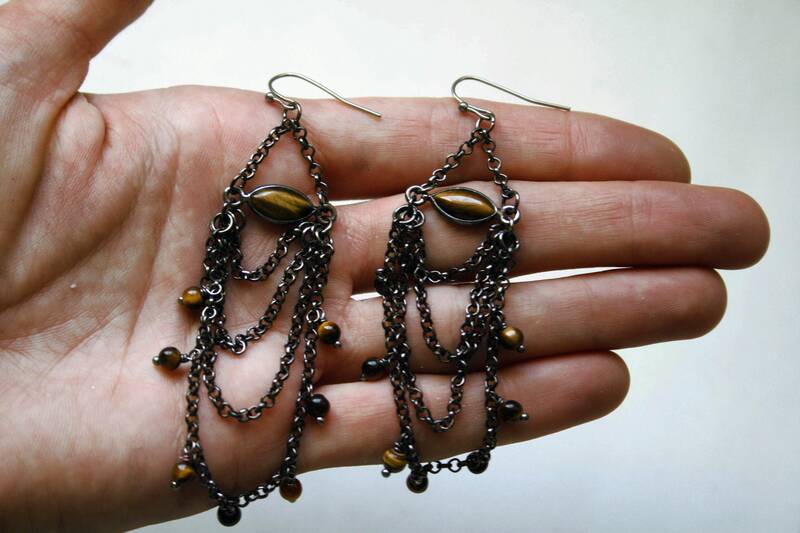 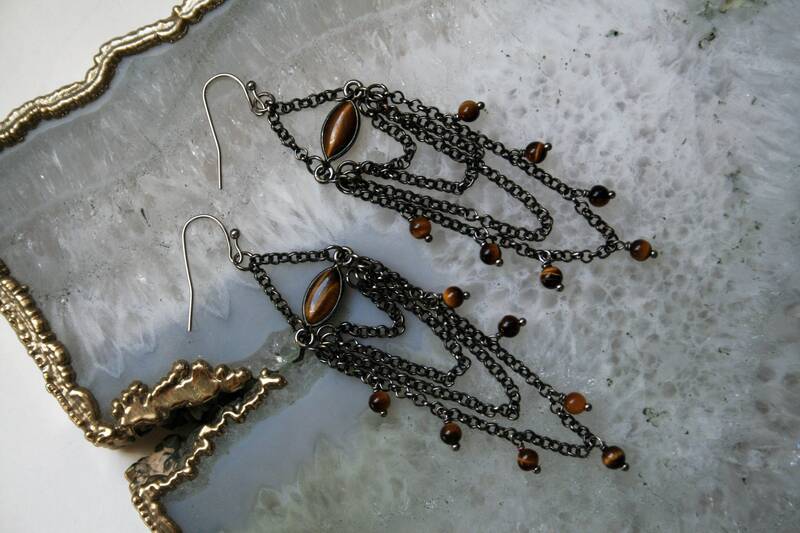 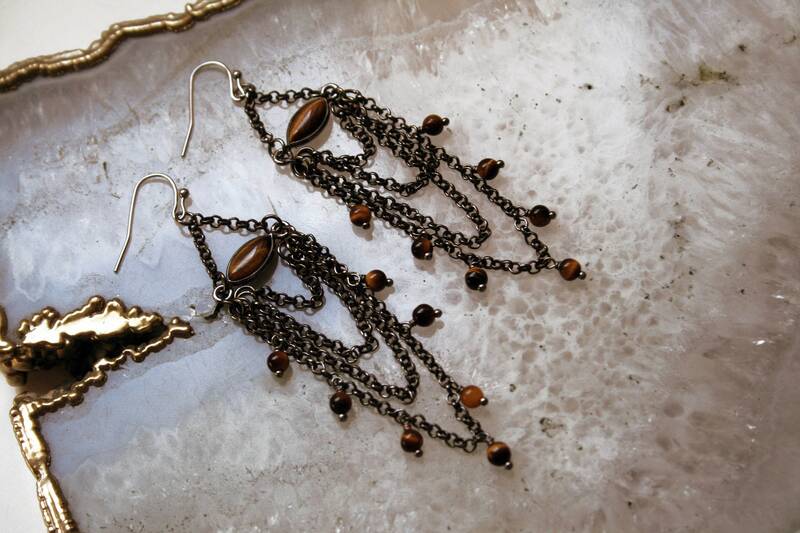 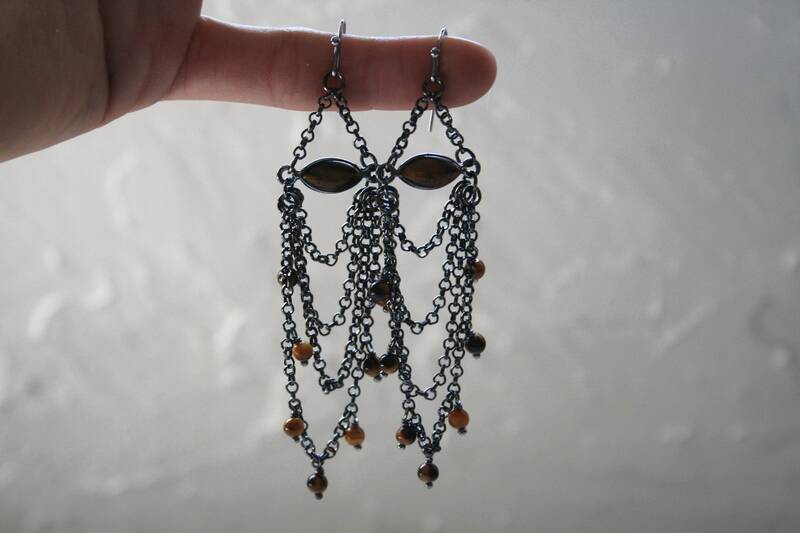 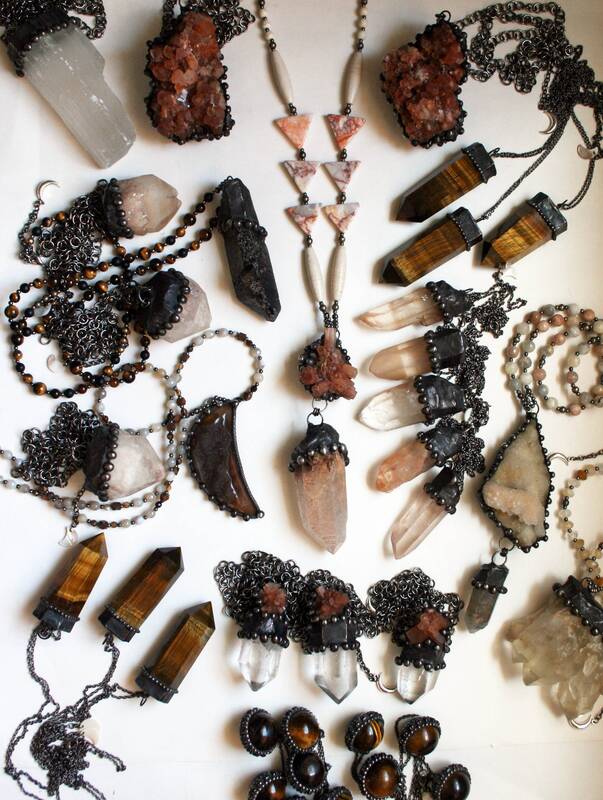 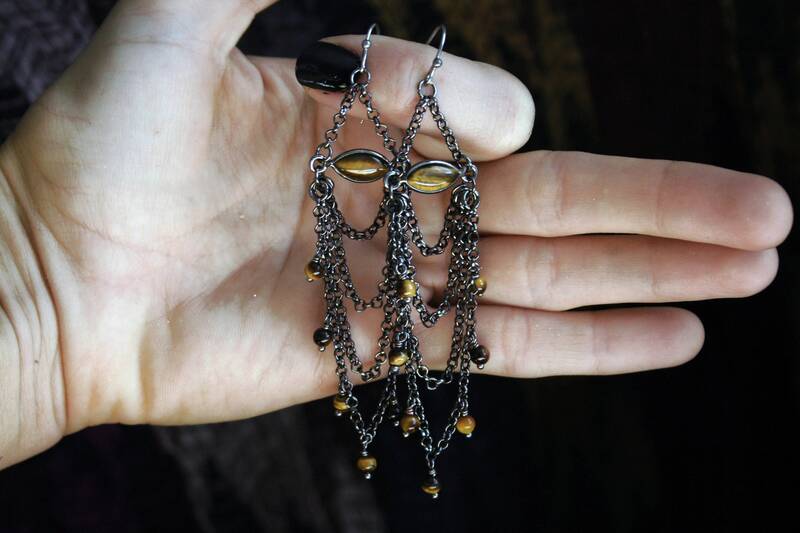 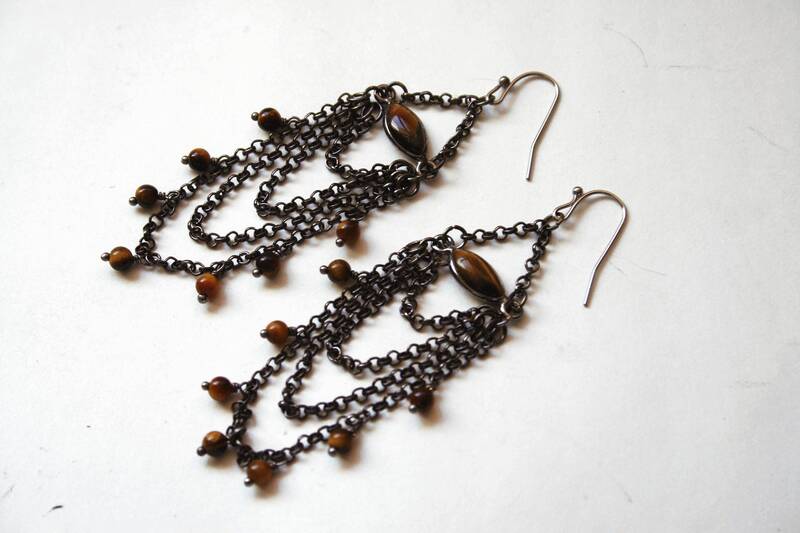 One pair of earrings, featuring marquis-cut tigers eye gemstones in gunmetal settings, with gunmetal plated brass chain fringe and tiny tigers eye beads cascading below, hanging from stainless steel ear wires. 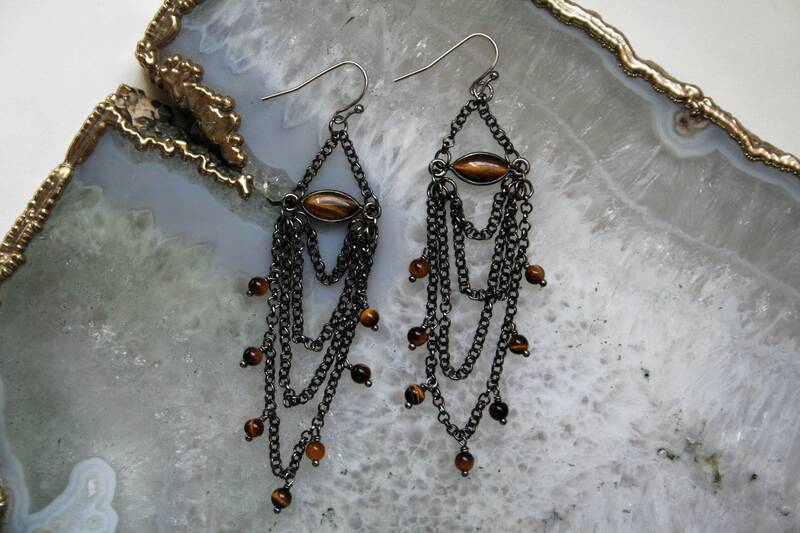 Total length of each earring is just over 3.5" from the top of the earwire to the bottom of the fringe. 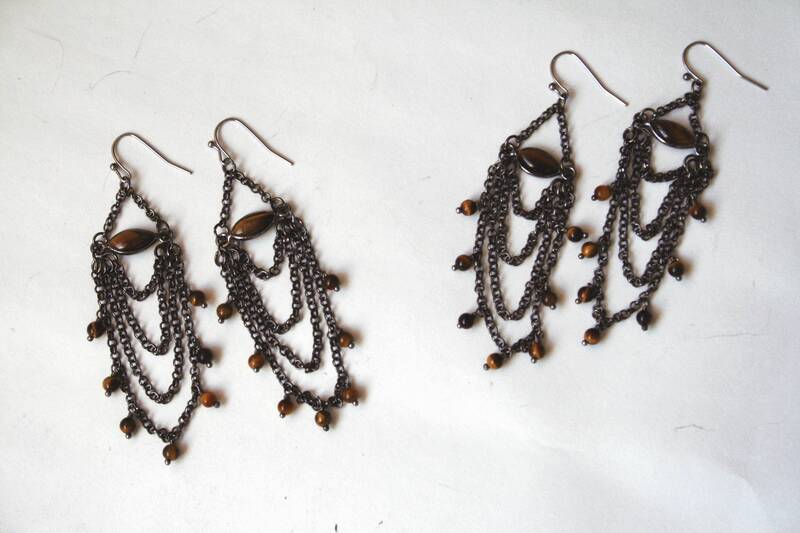 You will receive one of the exact pairs pictured, selected at random.